Tucked away behind the Two River Bank on South Ave. in Fanwood lies the Old La Grande School. The school was renovated by Children’s Specialized Hospital in the late 1980s at which time A Special Place Child Care Center was opened. 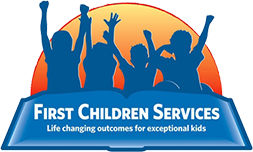 In July of 2009, the program was bought by Joseph J. Hess Jr. and the name was changed to First Children Schools/A Special Place. The building also houses a Preschool Primary program which is a comprehensive program of education, therapeutic social and medical services for special needs children ages 3-12 years old. The children learn through a variety of play activities which include science, math, problem solving, critical thinking, music, movement, art, creative dramatics and story telling. Children are taught self-discipline and are encouraged to resolve their own differences with positive communication. Parent involvement is key to the success of the program. In addition to the regular curriculum, there are special events throughout the year including our annual Pancake Breakfast, International Day, Grandparent’s Day and Month of the Young Child to name a few. 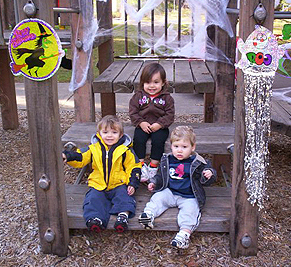 Some special events such as a Petting Zoo, Puppet Show and Haunted House are done together with the Preschool Primary program. A Special Place has an open door policy which allows parents to visit at anytime during the day and to get as involved as possible with their work schedules. Many parents bring their special talents to their child’s classroom and some even offer to read a story or plan an arts and crafts project which adds a nice variety to the program. The staff are dedicated, professional and highly motivated and many have been working at A Special Place for over 15 years, some as many as 25 years. They attend staff in-services to meet the state mandated education standards and keep abreast of new developments in the field of Early Childhood Education. A Special Place is open Monday through Friday from 6:30 a.m. to 6:00 p.m. and is only closed for 9 holidays. For more information about the program or to set up a tour of the facility, please contact Pam Radel Child Care Director at 908-654-2473.